In part 1 of our series on hunting, we talked about foxes and we argued that the death of the fur trade has had a negative effect on the welfare the fox. In part 2, inspired by Adam Hills’ recent hunting adventure, we want to talk about another animal considered a feral pest in Australia, pigs. There are about 24 million feral pigs in Australia, one pig for every human. They are very adaptable, eating pretty much whatever is on offer and, for large animals, they are good at remaining unnoticed. 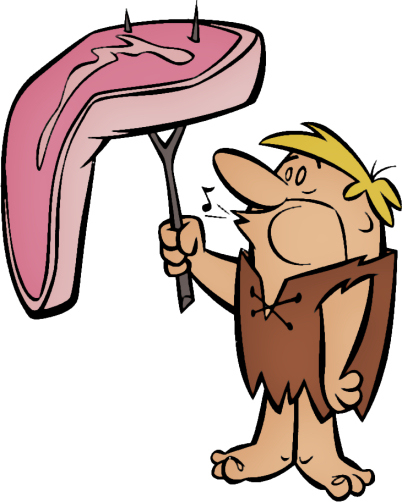 The arguments for (in the sanitised, official vernacular, “controlling,” but let’s call it for what it is) killing pigs, are pretty well established, so we won’t go into it here; suffice to say, they are very destructive, both from an environmental and agricultural standpoint. What we want to discuss here is the available methods of killing and the ethical issues involved. If pigs are in open country or cropping land, they will come out to feed at night and can be effectively shot under a spotlight. In more hilly or heavily timbered country, this is much more difficult, so the usual methods used by government agencies are aerial shooting (from helicopters) or poisoning. In part 1, we explained our ethical objection to poisoning and with aerial shooting it’s just not possible to ensure an effective kill. In both cases the pig is left to rot on the ground. 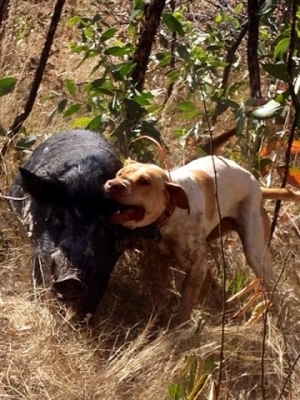 The way feral pigs are dealt with on our place is by hunting with dogs. We don’t have the right sort of dogs ourselves, but we have good friends who come about once a fortnight head out early morning or late evening. The dogs are bred to have excellent noses and a lot of strength; they catch the scent of a wild pig, then they will chase it down and hold it by the ear until the human comes, and quickly and efficiently ends its life. Contrary to popular belief, the dogs do not maul the pig, the guys bring them home to us unmarked, and we skin them and take some cuts for ourselves, and the rest for the dogs. There are many people who find this practice abhorrent, but I want to make an ethical case for it. Our culture seems to prefer a hands off, industrialised type of killing, but I believe we show more respect and dignity for an animal, by getting our hands dirty and taking full responsibility for it’s death. Hunting with dogs is a particularly “up close and personal” type of hunting. The pig also has a fighting chance at getting away, and, unlike with shooting, when it does get away, it doesn’t have a fatal wound which causes death over a long, painful period. The other consideration is the dogs. They do sometimes get injured and, very rarely, killed by the pigs. This is minimised by large stiff collars and breastplates, but it does happen. Having said that, the dogs choose to hunt and the joy they experience in the hunt, the pride they take in a successful chase and the affection that exists between human and dog is palpable. The hunting dogs I have known are all family pets when they aren’t hunting and are some of the most loyal and good natured dogs I have ever met. There is a perception around that pig hunting with dogs is a “brutal sport, with the participants exulting in the senseless violence and killing of innocent animals”, but those that make this claim seem perfectly happy with poisoning, and the long painful death that follows. In our experience, the humans and the dogs involved are caring, compassionate individuals who enjoy being outdoors and working with each other for the benefit of the environment.